The eventual coldest place on Earth is located on one of the highest places of Antarctica – on Dome A (Dome Argus). Thus far the lowest measured temperature reached here -82.5°C (July 2005) but scientists consider that it might fall even as low as -102°C. "Dome Argus" was named by the researchers of Scott Polar Research Institute. Name "Argus" is taken from the Greek mythology – Argus is builder of the ship of argonauts. Most likely Argus in his worst dreams could not imagine that there exist such cold places. 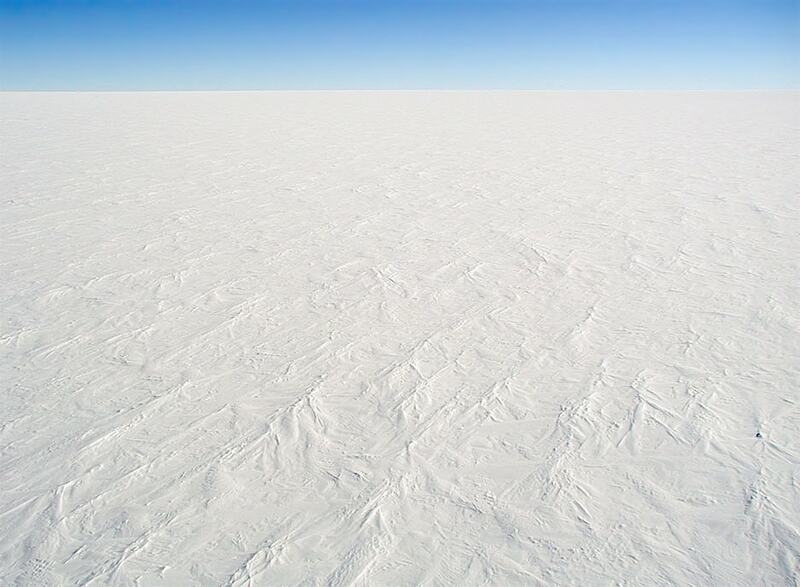 Visually Dome A looks like most other places in Antarctica – an endless, flat, lifeless plain. Landscape consists of white snow and sky above it. Dome A is the highest part of Eastern Antarctic ice shield. The ice near it is at least 2,400 m thick and below the Dome A is located Gamburtsev Mountain Range. These mountains reach height up to 2,700 m and in many ways are similar to Alps. 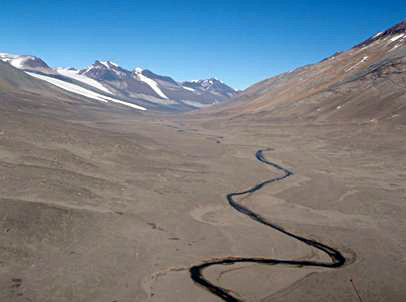 It is possible that the development of Eastern Antarctic ice shield started from the glaciers of this mountain range in late Eocene some 35 million years ago. Area around Dome A is extremely flat – if Dome A is located 4092.5 m above the sea level, the lowest spot in 30 km distance around it is 4,090.2 m above the sea level – height difference over 30 km is only 2.3 m.
Yearly precipitation here is around 10 mm of snow – it is one of the driest places on Earth. Area is also very calm, although there is little data about the speed of wind in winter here (installed anemometres does not work properly at these extreme temperatures). The lowest temperature ever recorded has been registered in 1983 in Russian station Vostok: -89.2°C. Dome A though is located some 600 m higher than Vostok. Automatic meteorological station was installed here in January 2005 and already in July 2005 there was registered -82.5°C. 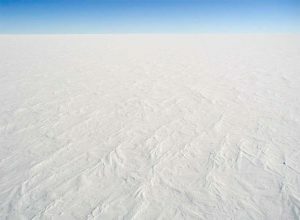 Currently, as Wondermondo writes this article (September 27, 2010), the temperature 1 m above the land surface is -71°C. Temperature falls below -80°C almost every winter. In summer in rare cases the temperature here rises above -10°C but usually is between -20 – -40°C. Deep the ice it is not any better: at 10 m depth the temperature is -58.3°C. Weather in Dome A is very calm. During the cold winters a specific phenomenon is observed – inversion. The coldest air is closer to the land surface, while several metres higher the temperature is some 10°C higher. This is caused by the cooling effect of snow surface and lack of wind which elsewhere would mix this cold air with the warmer air above it. It is possible though that Dome A is not the coldest place on Earth. 144 km south-west from Dome A has been identified Ridge A which might have even lower temperatures. Another contender for the coldest place is the 890 km distant Valkyrie Dome (Dome F or Dome Fuji) where reportedly has been registered record low temperature: 91.2 °C. There is accumulated 1 – 3 cm of snow over Dome A in a year. Densification of snow is approximately 1 – 2 cm per year. Thus the ice shield gets very thin "annual rings", each of them recording information about the climatic conditions of respective year. Due to this Dome A is valuable site for climatic research – layers have been acumulated without any local disturbances, they are thin and thus one should not go too deep to reach very old ice. Research here would provide very valuable information about the climate in past. Chinese Antarctic Research Expedition CHINARE-21 was the first who arrived in this remote place in January 2005. Under the bright summer Sun they made several important scientific research activities – extracted 110 m long ice core sample and installed automatic meteorological station built by Australians. It is expected that this station continuously will collect data for 20 years and send it to satellite. Data can be seen online here. Ambitions of Chinese scientists did not end with this. The next expedition installed automatic astronomical observatory PLATO in January 2008. This station worked well for 208 days when energy supplies ended and thus far is serviced and restarted every summer. The science made by PLATO can be learned here and current situation can be seen on these webcams. In fact these webcams show that some accumulation of snow due to winds is taking place here. In 2009 the construction of the most extreme Antarctic research station – Kunlun Station – was started. For beginning, it, of course, is summer station. The work here is extremely demanding. It is hard to breathe and one should be very careful not to damage his lungs. There are numerous problems which can not be imagined by people elsewhere in the world. Going to toilet outside premises seems to be mission impossible: at -60°C everything freezes stone hard immediately after leaving the body, or, if you are not well prepared and quick enough, shortly BEFORE leaving the body. Hands without handkerchiefs are damaged by frost in 3 minutes time at this temperature. After working for 50 days at Dome A people are loosing weight – it is not possible to take wholesome food to this place. Kunlun station is designed to persist in at least -93°C cold at wind speed of 12 m/s. This requires special engineered materials – common steel is not trustable at such conditions. It is planned to develop airport here as well. Station is located 1,200 km from the other Antarctic stations and is outside the range of helicopters – thus currently it is reached only with snowmobiles. Dome A is one of the best locations on Earth for astronomical observations – for example, it is probably the only place on Earth where interstellar medium can be researched in terahertz frequencies. Much role in this program is taken by Australia which sees a possibility to develop world class astronomical observatory here. Australian Antarctic Division, Dome A: Colder than Cold. Accessed in the 31st December 2011. Here you can look current temperature at Dome A – amazing! Xiao Cunde, Li Yuansheng, Ian Allison, Hou Shugui, Gabrielle Dreyfus, Jean-Marc Barnola, Ren Jiawen, Bian Lingen, Zhang Shenkai, Takao Kameda. Surface characteristics at Dome A, Antarctica: first measurements and a guide to future ice-coring sites. Annals of Glaciology 48, 2008. Accessed in 27 September 2010. 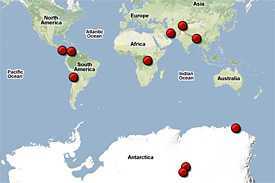 Antarctica is unusual continent, little known to general people and comparatively little investigated. Here are missing numerous kinds of landmarks common in all other continents of the world – but this is compensated by several kinds of landmarks unique to Antarctica. 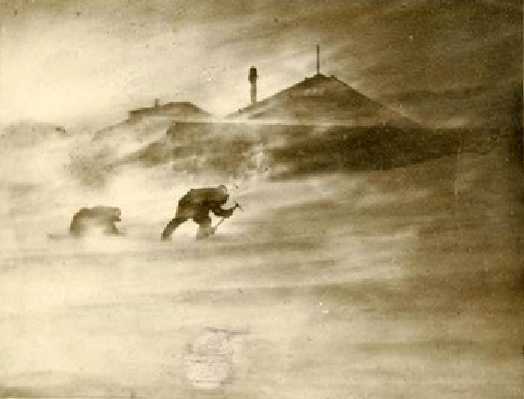 Storm at Mawson Hut / Frank Hurley, 1911-1914, State Library of New South Wales>.